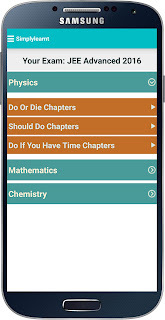 Latest and Greatest - The Official SimplyLearnt Android App is Here! 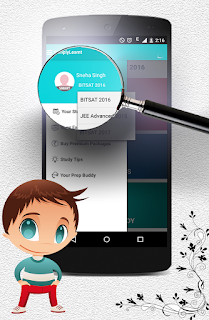 The much awaited official SimplyLearnt android app is here. 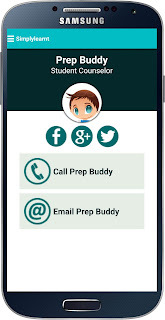 This has many improvements over our previous app, My Prep Buddy, which was very popular among our students. Our new app is the complete package for your entrance preparation. You can now use same login that you have created on simplylearnt.com with this app. All your activity and purchases will be updated even if you study on phone or on our website. If you do not have an account make an account and choose the exam you want to prepare for from the app. 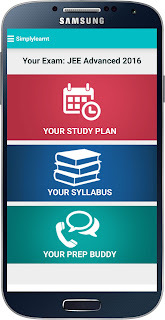 Once registered you get your study plan right on the phone. You can set up study alerts for the times when you need to study according to your plan. The plan is also in sync with the website. Check out your complete syllabus inside the app. Syllabus is categorized based on their importance according to your exam. 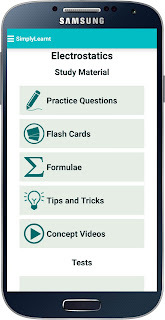 Access study material, like practice questions, flash cards, formulae, tips and tricks and concept videos. 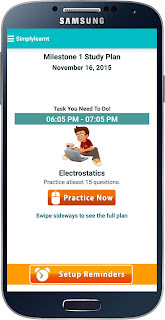 Also get various kinds of tests, like weekly tests for regular practice, improvement tests for practicing questions where you went wrong and timing tests to master your timing on the tests. The student counselors are now available from the app itself. You can keep in touch and ask any doubt or question any time. Just like our website you can prepare for more than one exam from just one app and one account. Find all your selected exams in the menu. Just pick the one you want to study at any time and it will change your syllabus and study plan and provide the correct study material also. Now that's what we call The Best Test Prep App! Go now and install it on your Android Phones!